As we are one of the oldest family business in Texas, we are often asked about the long history of the family and the story of the progression of the family store over the last century and a half. 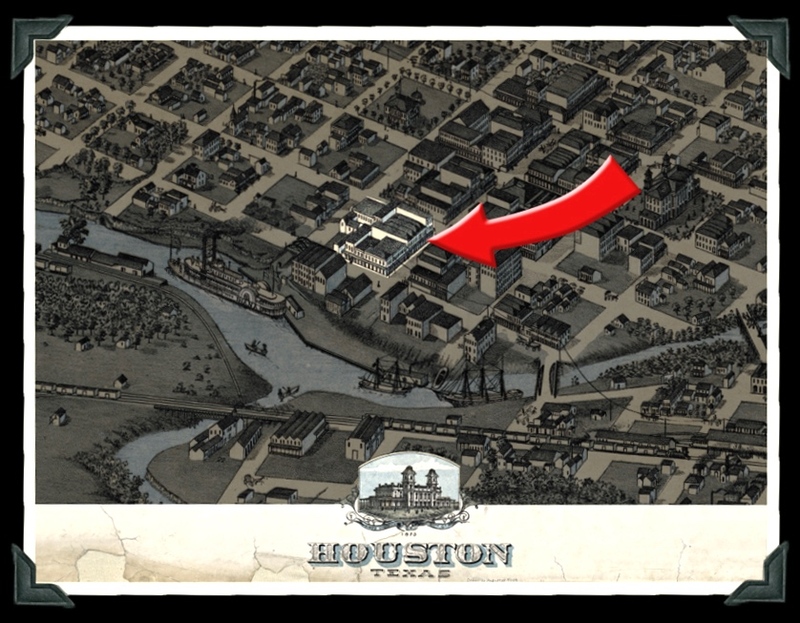 The Houston Jewelry "superstore" concept was created by Abe "Honey" Donsky in 1953, however the roots of the family business stretch back to the 1850's in early Houston, with the family's first store, Ephraim & Rosenfield, which in 1866 was located on Main St, in Houston, Tx. In the 1870's the business moved to Hempsted, Tx, and then again in the early 20th century to Tyler, Tx. In 1953, Abe "Honey" Donsky & his wife Margaret decided to relocated the business back to Houston, just down the street from where Margaret's grandfather, Jacob Ephraim had located the first family store in the in mid 19th century. Since the Beginning owned and managed by the same family. The Donsky-Solomon family is now in its fifth generation of active management of this business. This story is as much one of a family history as it is that of business. This is a both a rough genealogical story of an early Texas family, as well as the history of the growth of retailing in Texas and how the various generations of the family evolved the family trade from frontier general stores to fine jewelry, catalog and lately internet sales. As new media for the promotion of trade developed from 1852 on, each generation has taken what came before, and altered and modified the trade to the new selling methods. Jacob Donsky had moved to Dallas in 1898 and was in the grocery business. In the early 1930s two of Jacob's sons, Abe “Honey” Donsky and elder brother Nathan Donsky followed their father in business as merchants. The brothers were two siblings out of 10. Throughout the 1920s and early 1930s the Dallas natives engaged in numerous merchant business ventures throughout north and central Texas such as selling concessions at rodeos and minor-league baseball games. By the mid 1930s Nathan had settled in San Angelo in the Permian basin, at that time the center of the Texas oil boom, and had first been in the pawn business with a relative, and then opened Nathan’s Jewelers. Abe “Honey” Donsky at that time had settled in Longview, Texas and was in the beer business with his good friends the Glazer family. According to family lore, one evening while driving a Glazer truck, none other than Bonnie & Clyde held him up. Honey married Margaret Solinger of Tyler whose maternal grandfather Jacob Ephraim emigrated from Germany to Hempstead, TX in the mid 1850’s and served in the Hempstead Light Dragoons during the War Between the States, and owned also owned store in Houston, Tx called Ephraim & Rosenfield, and in the 1870's moved the business to Hempstead, Texas. Margaret’s parents Jacob & Henrietta Solinger operated a store in Tyler called Leon's. Throughout the depression they extended credit to their neighbors so that they could get the food they needed. About 1940 Nathan became very ill, so Honey moved his family from Longview to San Angelo to manage Nathan’s Jewelers while his brother recovered. The 1940s proved to be very successful for Nathan’s Jewelers as the Army Air Corps base in San Angelo was a major training area, and the surrounding country was a major oil-producing region at this time. During this decade Nathan’s expanded to towns such, as Paris & Brownwood were younger brother Ervin and his wife Frances managed and were partners in the branch. Eventually other siblings operated other stores in laws & sisters. Honey and Nathan also operated stores such as Kish’s Jewelers in the area. By 1948 brother Ervin and his wife Francis Donsky decided to move back to Dallas and they purchased Kuhn's Wholesale Jewelers and transformed it into Sterling Wholesale Jewelers and became one of the first catalog showrooms in the nation. In 1953 Honey moved to Houston where he met Dave & Ruth Rubin who owned DaRu Jewelers and they formed a partnership to open Houston’s first catalog showroom, Houston Wholesale Jeweler located at Main & Rusk upstairs above the Baker Shoe Shop. As was the family tradition, Honey’s brothers Nathan, Ervin and brother in law Bob Slaton invested in the new venture. Houston Wholesale Jewelers was closely modeled on the successful Sterling Wholesale Jewelers and the two jointly produced their catalog and bought many items together in order to get preferential pricing. By 1955 Houston Wholesale Jewelers was so successful that Honey was able to return his investors principal and a profit. The business was so successful that in 1956 it had to move to larger quarters Travis & Rusk in the lobby of the Houston Club Building. In 1957 Dave Rubin passed, and Honey purchased Rubin’s share, and Ruth remained with the company as a buyer until the mid 1980’s. In 1961 Ervin Donsky could sense the future of retail and decided it was time to expand outside of downtown Dallas, and build a large store in the suburbs of north Dallas at Northwest Highway & Central Express Way where he built a 50,000+ store. Both Honey & Nathan Donsky invested in this bold new venture, becoming officers of the new Sterling Jewelry & Distributing Company as well as running their own companies. In 1961 due primarily to the lobbying of Gordon’s Jewelers & Zales Jewelry Company, the Texas Legislature changed the business code, which prevented any business with the word “wholesale” in their name to sell to the public at all. Houston Wholesale Jewelers ceased all consumer operations and became a buying agent & service provider for the new Houston Jewelry & Distributing Company. [Houston Wholesale Jewelers currently provides repair and manufacturing services to Houston Jewelry Inc.] Sterling Wholesale Jewelers pursued a similar course of action. By the mid 1960s the business had grown so much that Houston Jewelry began to look for a new larger location. At that time Star Furniture was preparing to move to the suburbs, and wanted to sell its buildings at Milam & Rusk, across the block from the Houston Club Building location. In 1966 Honey purchased the buildings and good friend architect Arnold Hendler remodeled them into a beautiful clean modern retail showroom. In 1971 the Galleria opened in Houston and it became clear that the future of retailing did not lay in downtown Houston, and the Donsky brothers decided to look for property to build a second and larger store on Westheimer as had was done in Dallas in 1961 by Sterling Jewelry. In 1973 they found and purchased almost 5 acres of raw land on Westheimer & Gessner. At that time beyond Gessner was open ranch land. In the early 1970’s the stock market was booming and the three brothers decided to merge the Dallas & Houston operations and take the combined company public. 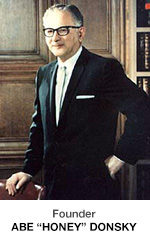 The 1973 oil embargo crushed the stock market, and the newly merged company remained a privately held growing family business. In 1979 the merged company opened another large store in Richardson, TX. In 1984 real estate investors who wished to purchase his building at Milam & Rusk and build an office tower approached Houston Jewelry. He wisely sold the property. Within a year of the sale, the Houston real estate market collapsed, the tower was never built, and the building remained vacant until 2010. The downtown Houston Jewelry store relocated to the First City Financial Tower, which was one of many office towers built on the southern end of downtown Houston. In 1991 it was decided to close the downtown Houston store, and remodel the flagship location at Westheimer & Gessner. In 1987 the original downtown Dallas store was closed and a new store was opened in Arlington, TX. In 1992 Nathan Donsky passed. At that time there were 35 family owners of the corporation, some 15 or who worked for it, comprising 3 generations, and 3 branches of the family. There were four stores, and over 800 employees. What’s more the catalog showroom industry was dying quickly. Every month stores across the country were closing, as the format was obsolete. The original category killer store format of 40 – 50,000 sqf. Of selling space was now too small to compete with monster stores by Wal-Mart and Kmart of 120,000 sqf. In areas such as electronics, Sam’s Club was selling product below the price Sterling paid for the same item. The family pleasantly discovered that the real estate that the brothers had purchased to build these large stores on had quietly escalated substantially over of the years and could produce more revenue if they were redeveloped and used for other purposes. Many members of the family wished to pursue other ventures. Honey’s son-in-law Andrew L. Solomon, daughter Dana Solomon and grandson Rex Solomon wanted to transform Houston Jewelry into a high-end jewelry & fine gift store. Similarly Ervin & his son Howard Donsky wished to do the same thing in Dallas with Sterling. 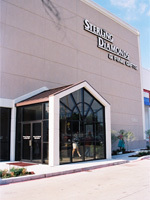 In the spring of 1993 Sterling Diamonds & Fine Gifts opened in Dallas, and in the summer of 1993 Houston Jewelry & Fine Gifts opened in Houston. In 1996 Ervin wished to retire, and Howard wished to enter designing and manufacturing fine jewelry, so they sold Sterling Diamonds to Barry Zale who wanted to reenter the jewelry business, and shortly there after the name was changed to Barry Zale Fine Jewelry. Howard Donsky founded the now award winning Jeffrey Howard line of designer jewelry, and has branched into fine jewelry for pets with www.Silver-Bones.com. By 1998 Nathan’s children decided sell their Nathan's Jewelers stores to the Silverman Chain as neither of them lived in San Angelo. Nathan Donsky's grandson, the late Jeffery Donsky founded www.Perfect-Timing.biz, an etailer that trades vintage watches. About the same time Houston Jewelry launched its e-commerce Wedding Band division, www.1WeddingBand.com which now compromises a substantial element of its business. 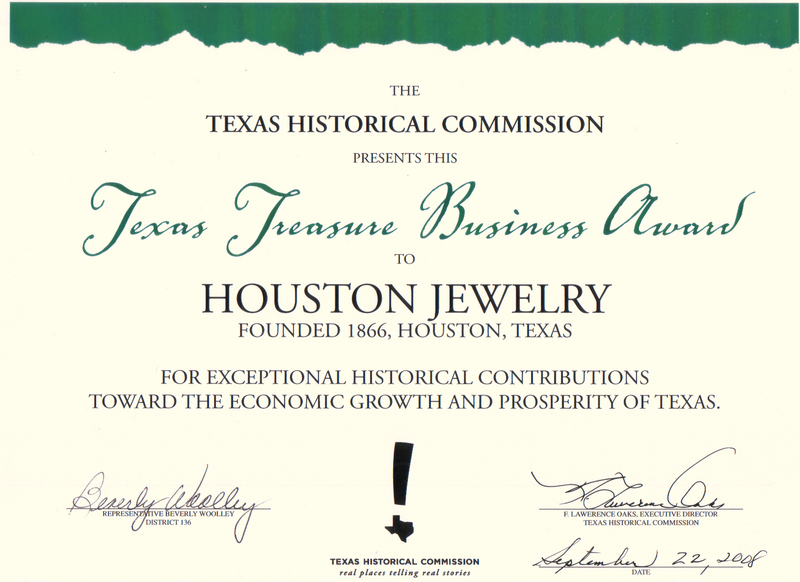 2008 The Texas Legislature and the Texas Historical Commission recognized Houston Jewelry's unique status as one of Texas's oldest businesses with the Texas Treasure Business Award. 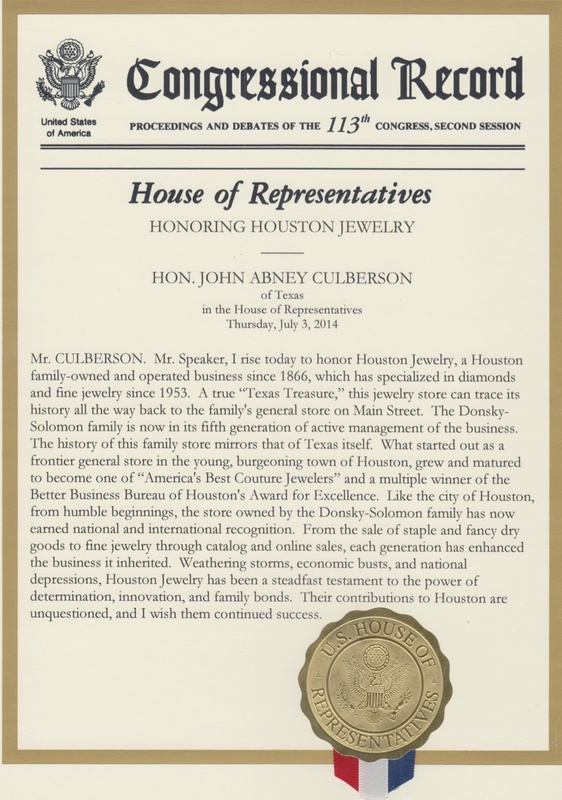 2014 Houston Jewelry had the singular honor to be recognized by the United States Congress.